In today's modern sales environment, buyers are inundated with hundreds of pitches and messages from vendors vying for their attention. Unfortunately, to the buyer's ear, most of these messages are either too vague, too complex or undifferentiated, making it easy for your potential customers to simply ignore you. 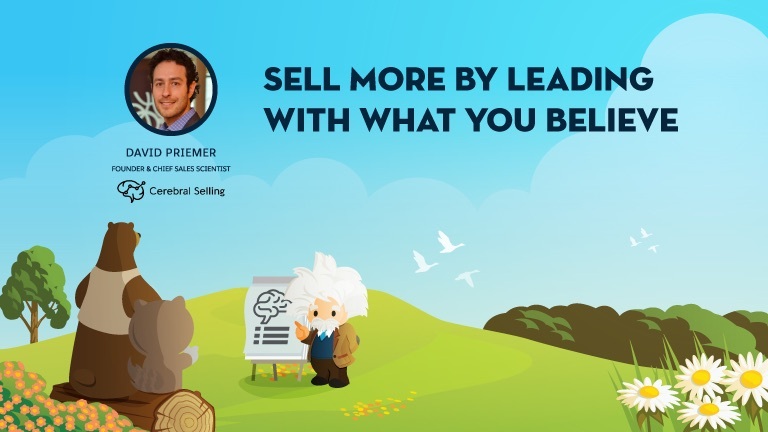 In this webinar, Adam Kirsh our Head of Canada Small & Growth Business will host David Priemer, four time start-up entrepreneur and founder of Cerebral Selling as he shares an amazingly simple, but very powerful technique to help refine your message so that it lands instantly and resonates deeply with your ideal customers. Please join us for this 30 minute on-demand webinar. Register Today!